Although some materials are able to be visually confirmed as contaminated by, or containing, hazardous materials, most products require testing to confirm. If you are unsure whether or not a material is hazardous, be it asbestos, mold, lead, etc., it is best to avoid disturbing it, contact NorHaz, and we will work with you to have it tested by an appropriately certified and insured professional. If hazardous materials are identified, we will work with you to safely handle them. If it is confirmed that there are no hazardous materials, you will have documented results as evidence that those materials are able to be safely removed/altered/disturbed through standard safe practices. 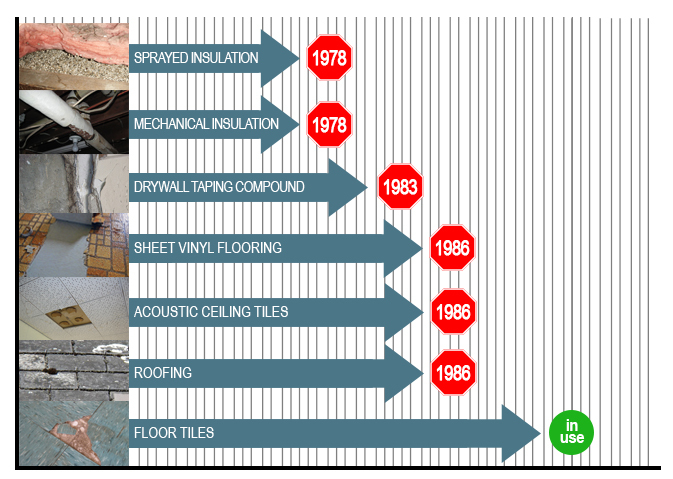 Around 10% of structures built before 1990 have asbestos containing vermiculite insulation. An asbestos fiber can be 1200 times smaller that a human hair which is why it is easily inhaled and builds up in the lungs over time. The illnesses caused by exposure to asbestos fibers are Asbestosis and Mesothelioma. While typical adverse health effects become apparent 10 to 30 years after exposure, in reality all exposure increases the risk of illness. Asbestos is recognized by Work Safe BC as the top workplace killer. 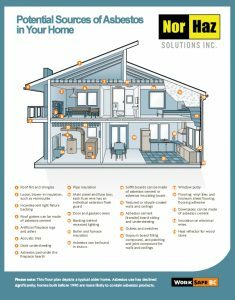 There are several activities and processes where exposure to asbestos is possible and that are regulated by worker safety organizations across Canada. When was asbestos used in home building materials? Cloth covered wired (rag wire & nob and tube wiring). Bell and spigot joints in sanitary sewer systems. Where lead may be found above the regulation threshold of .06 mg per kg. Please note that certain municipalities require a secondary test of lead containing materials to determine the leachability of the lead from the matrix if is found in to determine the stability of the materials. Special disposal may be required based on a leachate test results. Once hazardous materials have been discovered a site visit will be required to inspect for condition of material, quantity of material and site conditions. Then an abatement plan can be developed to ensure all wants and needs are addressed along with a quote for service. Mould is naturally occurring in the outdoor environment. The environment that mould desires to live and reproduce is a warm moist environment that is high in cellulose materials. Like a compost pile or the process of organic materials being turned into soil. So when the leaves fall off of the trees and the grass dies off in the fall it is mould that is digesting and turning the organic materials into soil. Soil is constantly releasing mould spores ( mould seeds) into the outdoor air. These mould spores stay suspended in the air. We allow outdoor air to enter and pass through the structures we occupy. As this air passes through the structure some of the mould spores that were suspended in the air settle out. This condition of settled spores is referred to as house dust. House dust is not entirely mould spores but significant in mould spores ( there are many other partials included in house dust). There are thousands of different types of moulds that are releasing their spores into the air. The adverse health effects associated with mould exposure are dependant on the type of moulds we are exposed to and our personal reaction to the exposure. It is not unusual to observe different reactions to the same exposure from two different people. 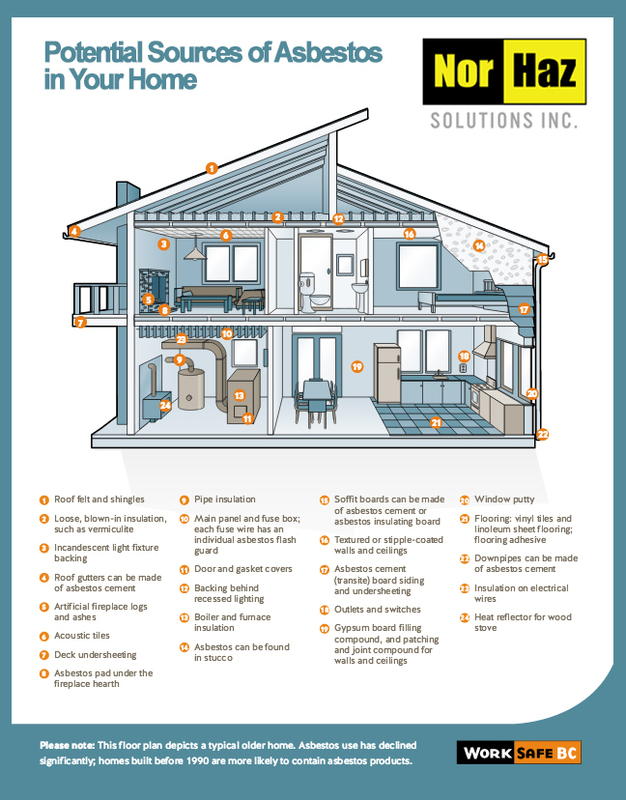 Mould growth within the living space portion of a structure is categorized as a level 1, 2 or 3. A level 1 mould growth describes normal for a structure. This describes the amount of mould present within the house dust of a normal average home. A level 1 mould contamination allows for up to but not exceeding 10 square feet of growth not as a result of water damage. level 2 mould growth allows for more that 10 square feet of mould growth and up to but not exceeding 100 square feet of mould growth. A level 3 mould growth describes a structure with an excess of 100 square feet of mould growth. A proper mould remediation plan is based on how much growth present and where the mould growth is within the structure. There are both occupied spaces and unoccupied spaces within a structure. Occupied spaces are the areas of a structure that are occupied for at least 20 minutes a day or are intended for occupancy like a spare bedroom. Unoccupied areas are attics and crawl spaces. The major difference between occupied areas and unoccupied areas is the frequency of cleaning of the areas. Occupied spaces are cleaned regularly to remove the build up of partials that settle out of the air (dust significant in mould spores). Attics and crawl spaces are not regularly cleaned, if ever so a build up of mould spores in these areas is not considered abnormal and should not have a negative impact on indoor air quality. However if the settled spores in these environments is exposed to elevated levels of moisture mould growth can occur and the release of spores from these growing organisms can have a negative impact on indoor air quality. Attics that are under ventilated, have a roof membrane leak, or have a ventilation fan (either bathroom or range hood) exhausting into the attic space. Crawl spaces that are under ventilated or undergo moisture ingress issues. Under windows where moisture has condensated. Should you have mould growth concerns within a structure please call for additional information.